In our BOIDS artist profile you can find photos, cover art, tour dates and all content and streams we can find in our vault. We currently have 0 photos of BOIDS in the gallery and 1 posts. 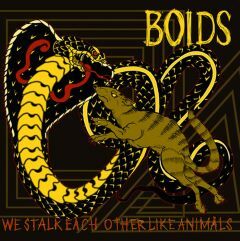 Punk Rock outfit BOIDS from Montreal hail with their "We Stalk Each Other Like Animals" LP, which is streaming in full via Exclaim. Sorry, we currently do not know any tour dates in your area. Below you can find links to BOIDS via pages like the official website, Facebook, Twitter and more.